Blog Quick Quotes: May Club Q Four Ways with Connie! 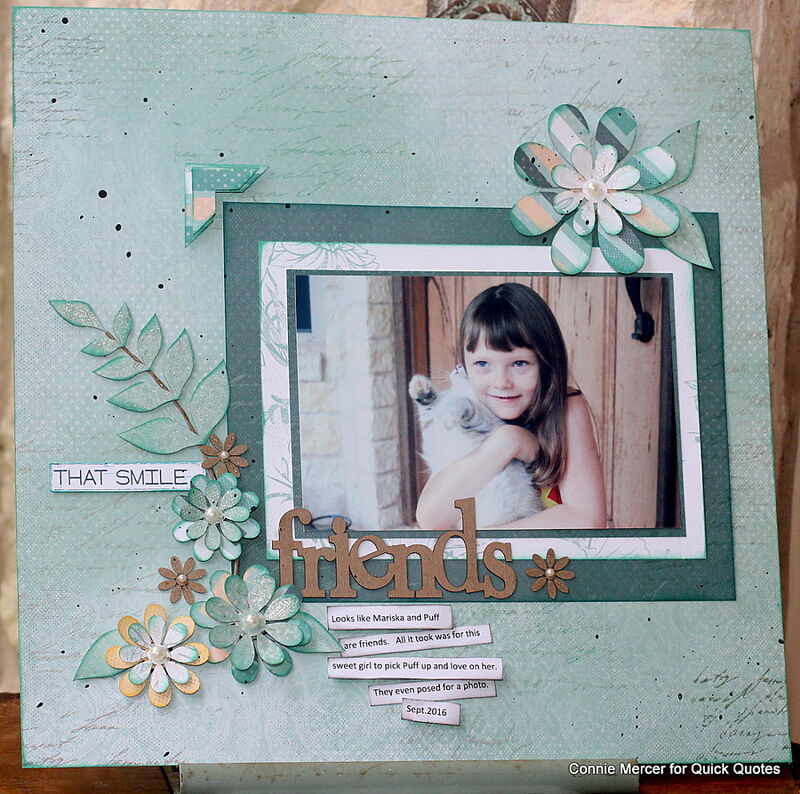 May Club Q Four Ways with Connie! Hi, Connie here with the May Club Q kit by Quick Quotes!! I must say this kit was full of goodness. 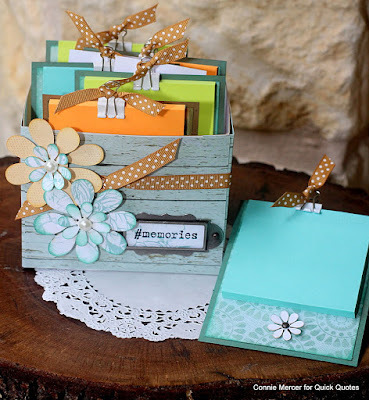 I loved everything about it, especially the green tone papers from the Harmony Collection. 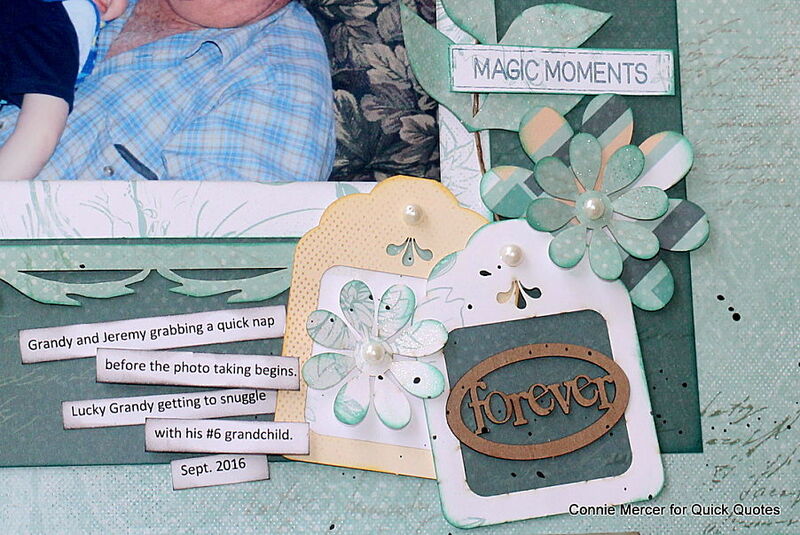 I have four projects to share using pieces from the Ultimate Combo Kit by Quick Quotes. I have put my own spin on these kits to show you that you never have to stick to the plan. Creating your own design(s) is so much fun! 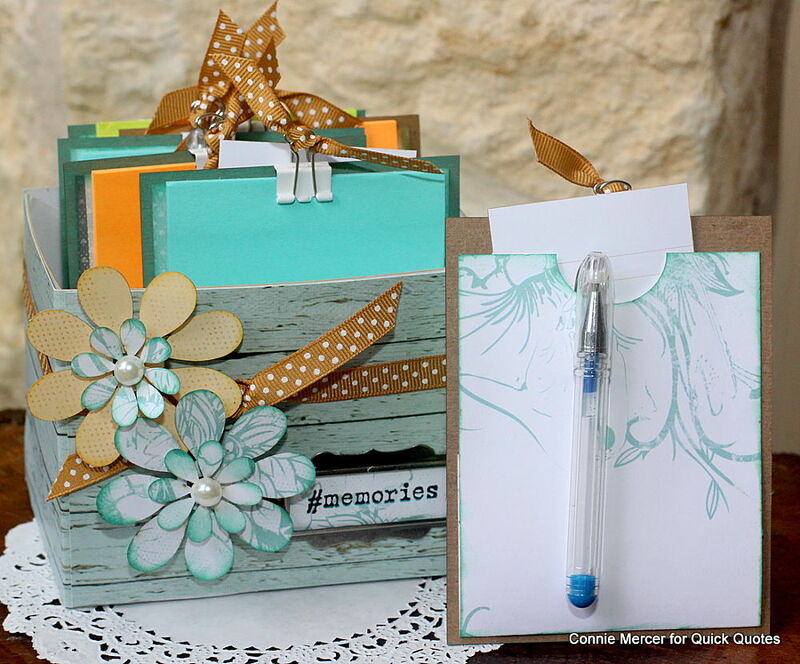 First up is this memories note box. 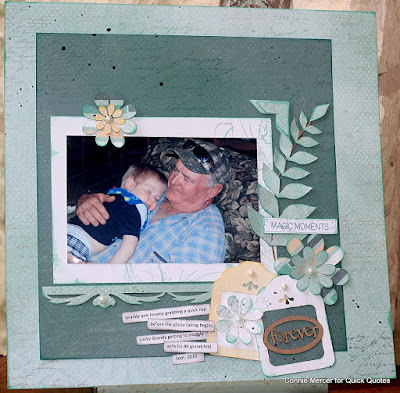 My inspiration for this project was to create a box that I can write details to pictures and have a place to retrieve the information when I am ready to journal the pictures. I think I will remember and time after time important details are left out. So this is how I will use this box. The back of the note pads also holds an envelope that can save small memorabilia. The Post-It notes, small clips and small pens are provided by me. Second and third project, a couple of scrapbook pages. This pretty girl made designing this page easy. Also, all of the pretty flowers that come in the kit were perfect for showcasing this page. I just love the ivy embellishment. These pages look great side by side. I kinda had that in mind when I created the pages. Fourth project: grocery list pad. The inspiration for this list pad was I wanted a long pad (to make lists on) this worked great. You can include a magnet on the back for the fridge. 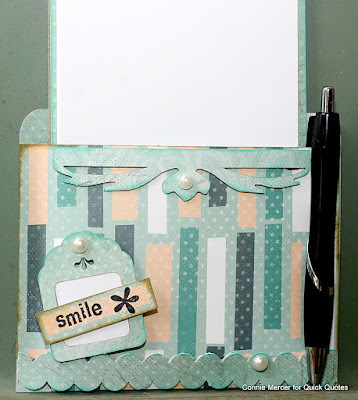 I used a stamp set to stamp the word "smile". 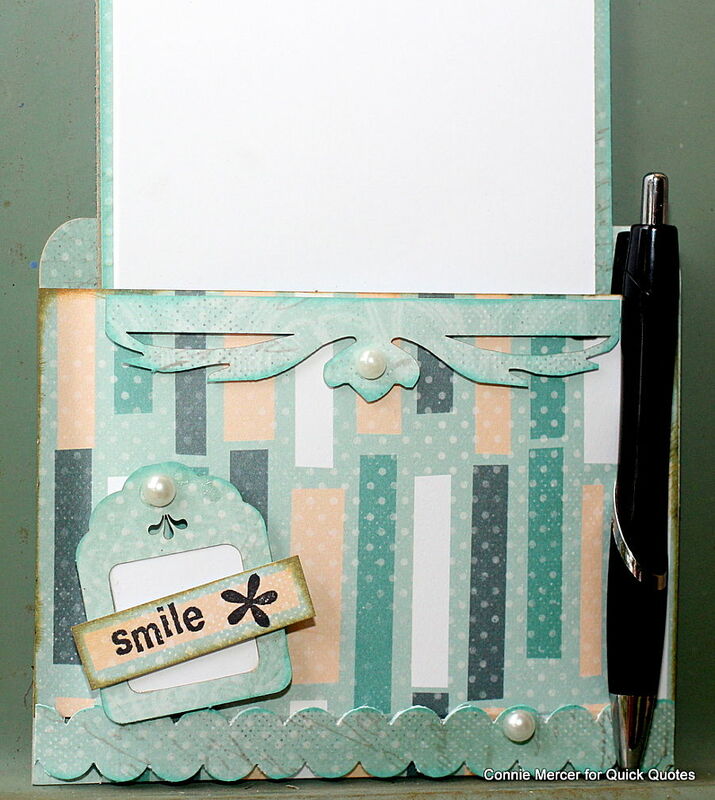 Everything to make this project (even the small black pen) is in the May Club Q by Quick Quotes. PowderPuff Chalk inks: Jade, Clay, Desert Sun and Midnight Confessions.